Yesterday, an engineer at Motorola by the name of Luciaono Carvalho revealed that Android 5.0.2 Lollipop will be coming real soon to all Motorola devices from 2013 and 2014. That means that a Motorola Droid Turbo Android update is also to be expected, although the phone being a Verizon exclusive, it might take longer for the OTA to hit. The Droid Turbo is a highly acclaimed smartphone which boasts with great performance and battery life, and even has an international version called the Moto Maxx. The Motorola Droid Turbo Android update should be released by February 2015, according to previous announcements from Motorola. The rollout is taking so long because the OS is riddled with bugs which Motorola has to fix in order to make the build compatible with each device set to receive the OTA. Even though Google optimizes Android 5.0.2 for Nexus devices, that doesn’t mean that the respective build working perfectly on Nexus phones and tablets will do the same on other devices because of hardware differences. That in turn means that each OEM has to spend time on tweaking Android 5.0.2 to suit each of their releases’ needs. 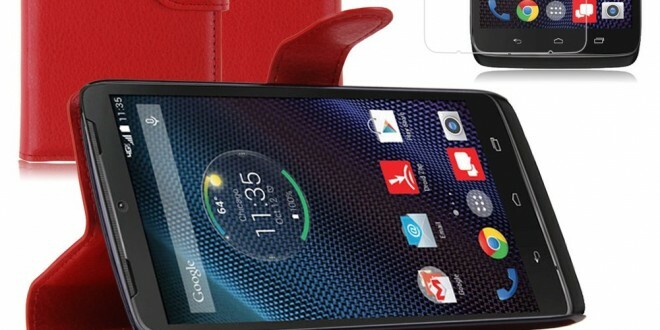 The Motorola Droid Turbo Android update will supposedly contain Android 5.0.2 once it hits, and should be a version that rids of bugs users have encountered on the Moto X and Moto X second generation devices. The soak test which is underway might have brought a Motorola Droid Turbo Android update, but we’ve only seen two reports that are not actually verifiable stating that they received an Android 5.0.2 OTA which disabled their MMS functions. In any case, we at least know for sure that a Motorola Droid Turbo Android update is coming your way and hopes are high about the release being bug-free. While we wouldn’t expect a completely smooth OS to hit these devices, we do think that if the company is taking its sweet time to perfect the build, we are right in expecting the best. People are getting frustrated with the slow release of Android 5.0.2 Lollipop and with good reason, since many OEMs including HTC and Motorola promised a timely release upon the Lollipop announcement. Have you guys received a new update as part of the soak test? If so, let us know how it’s working for you. In the meantime, we are patiently waiting for a Motorola Droid Turbo Android update and are curious to see when Verizon and Motorola will be rolling that one out. We suspect it will be later than promised, maybe as late as March 2015, which would be disappointing and frustrating. Previous Is the new Moto E coming on the 26th?